Adding a protein to a salad is a great way to turn a side dish into a filling meal. Don't like chicken? Try adding tofu, shrimp, or beans! 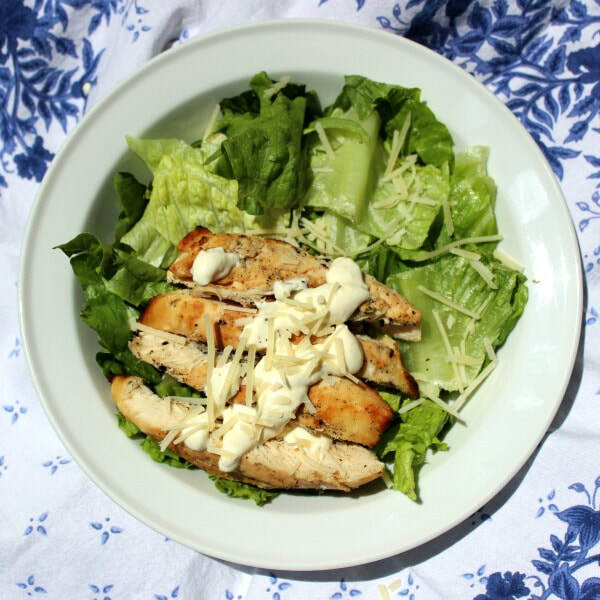 This healthier take on a classic Caesar salad uses Greek yogurt instead of mayo to increase protein and decrease fat. Feel free to add extra vegetables to make this recipe more colorful. Place all dressing ingredients in food processor, blender or jar with a lid and mix until smooth. Grill or broil chicken as desired. Mix lettuce and dressing into bowl. Slice grilled chicken breasts and add to the salad. Top with extra Parmesan cheese, if desired.